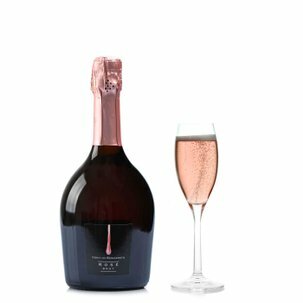 A vividly sparkling wine made from hand-picked Verdicchio grapes, using the Charmat lungo or Martinotti method. The Bianco Brut Conti di Buscareto announces itself with a shining straw-yellow colour veined with pale green tints, enlivened by a delicate and enduring perlage. 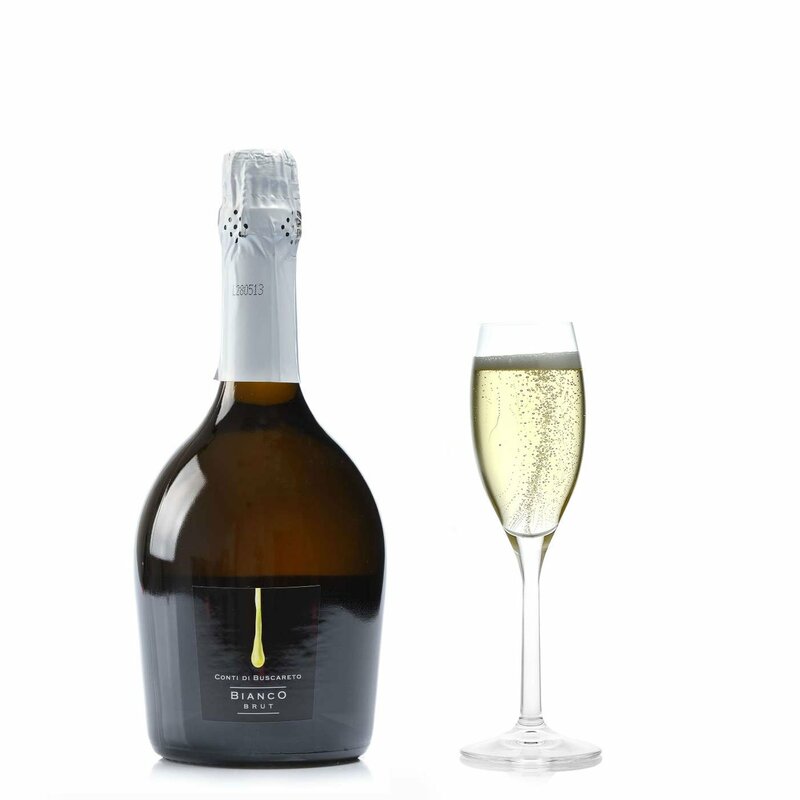 On the nose it reveals its refined elegance with bold notes of white pulp fruit and subtle floral overtones. Dry, sapid and mineral on the tongue. Splendid as an aperitif. 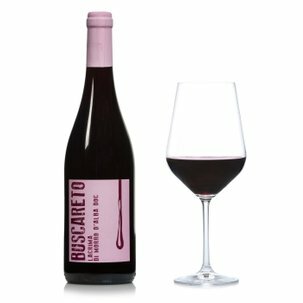 The Conti di Buscareto winemaking and agricultural enterprise focuses especially on rediscovering ancient vine varieties native to the Marches region, and then vinifying them in a spirit of renewal. This involves applying cutting-edge productive and qualitative methods backed up by recent advances in the science of winemaking. This challenging strategy of researching and reviving territorial heritage has been centred especially around one grape variety, the Lacrima Nera (or Black Tear), a red grape variety typical of the hilly countryside around Morro d'Alba, including the townships of Belvedere Ostrense, Monte San Vito, Ostra, San Marcello and Senigallia. 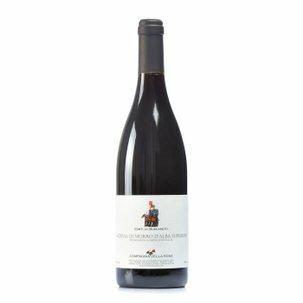 In creating fine wines, Conti di Buscareto's mission is to let people rediscover the flavours and aromas of the traditions and territory of The Marches Region.